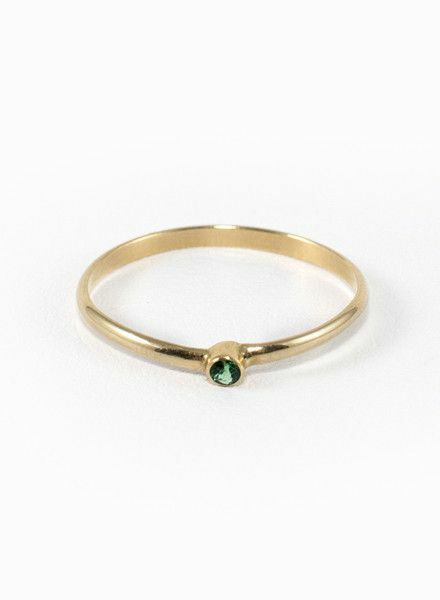 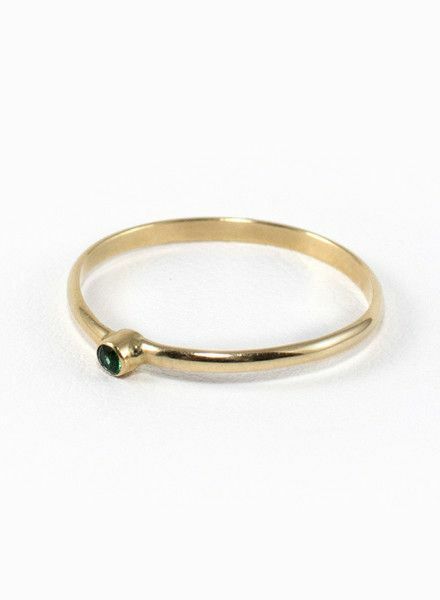 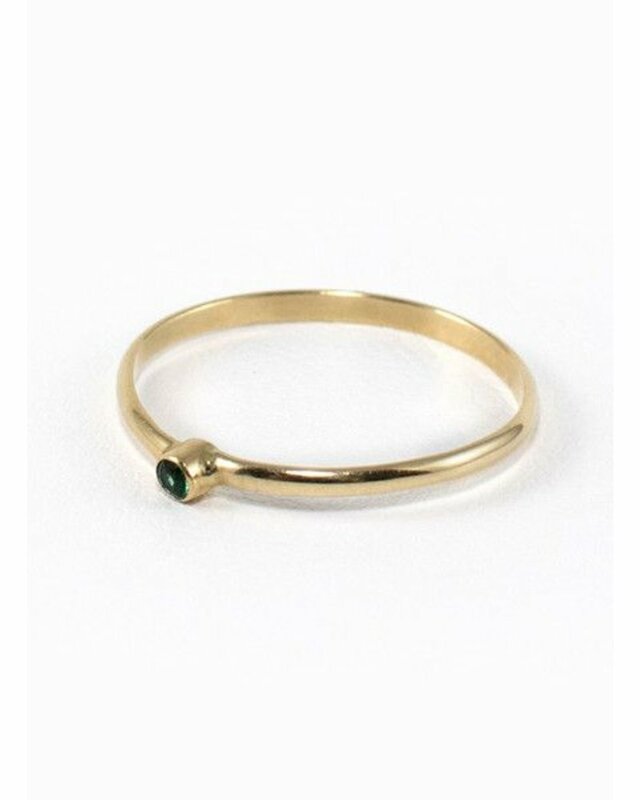 This Eskell original features a delicate, yellow-gold band with a bezel set vibrant, emerald stone. Simplicity at its finest. 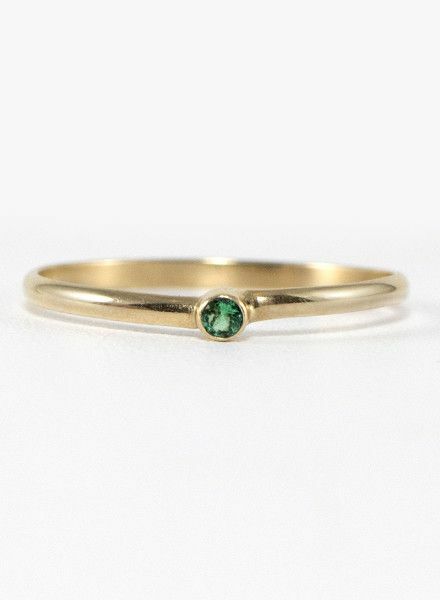 Perfect for stacking, or a standalone statement.